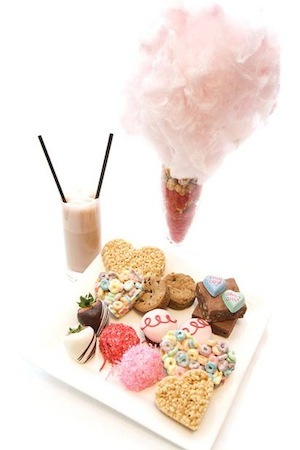 The Junk Food platter from LA Market by Kerry Simon is one way in which grown foodies are revisiting their childhoods. The other is moving back home with their parents. 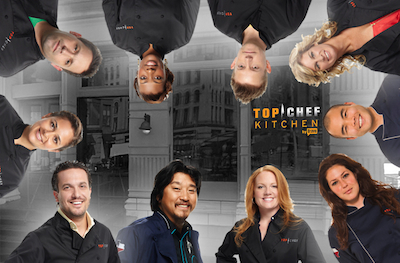 Will your favorite former Top Cheftestant be behind the burner at Top Chef Kitchen? Bravo presents Top Chef Kitchen, an impressive four-course dining experience from Bravo’s Emmy®- and James Beard Award-winning television series, Top Chef. Located in the heart of New York City’s TriBeCa and open for a limited time, Top Chef Kitchen will give fervent Top Chef fans the opportunity to taste Top Chef-caliber food prepared by the series’ roster of alumni Cheftestants. Each week, a new pair of Top Chefs will be on-site to execute a creative menu as well as interact with the restaurant guests. The Cheftestants’ schedules are Tiffany Derry (Private Social) and Paul Qui (Uchiko), October 23-28; Jennifer Carroll and Tiffani Faison, October 30-November 4; Richard Blais (The Spence) and Grayson Schmitz, November 6-11; and Fabio Viviani (Cafe Firenze and Firenze Osteria) and Antonia Lofaso, November 13-18. The four-course prix-fixe dinner is $95 per person, $125 per person with wine pairings. Reservations were snapped up in just 40 minutes, but stay tuned for reservations giveaways, an inside look at Top Chef Kitchen, interviews, and more! 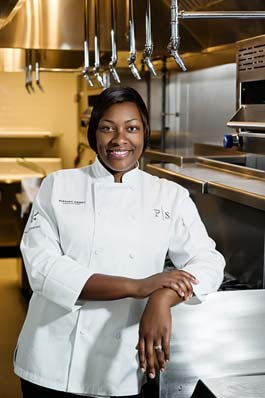 Tiffany Derry's new Private Social restaurant in Dallas is sure to be a success! "Am I good enough and smart enough? Do people like me? Oh, yeah, I figured this out last week. I am, and they do! Whew!" Oh, Top Chef…parting is such sweet sorrow. 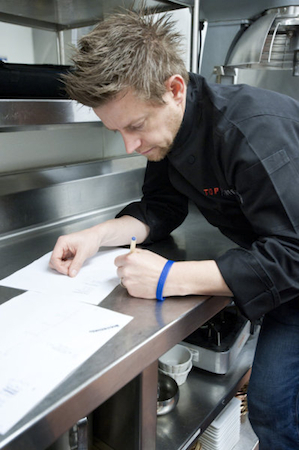 We’re glad that Richard Blais took the title, but we’re sad to see the season come to a close. Thanks to Ed Cotton for indulging our questions, serious and silly, along the way. And, on behalf of everyone at OpenTable, we’ve got a special good wishes for Ed. Plein Sud, the Manhattan restaurant at which he’s executive chef, is celebrating its one year anniversary. Stop into Plein Sud the week of April 25th to join in on the festivities. Hey, Ed! Congratulations on year one! Quite an accomplishment. So, the finale’s final challenge tasks Blais and Isabella with opening their dream restos. That’s a tall order, but I imagine they had a good idea going in? Every chef has planned out in his or her head what type of restaurant would be our “dream” to have one day. They both looked like two great concepts. They are yoked to a four-course tasting menu. Are the finalists wanting more courses or fewer? Is this format ideal? In my opinion, four courses are easy to execute and allow a chef to really showcase what they can do. The format is ideal; it is the perfect amount of food. Multiple courses show exactly what you’re made of — and if you crack under pressure or not. Currently, I am in the process of creating a four-course tasting menu to celebrate my restaurant’s anniversary. If any OpenTable diners are in New York the week of April 25th, please join us for a celebration. How about the CDO? Can the CDO come? Pretty please! Okay, so the whole cast shows up for sous jobs. Who DO you want as your sous and why? I thought that it was very cool that the whole cast showed up and got to prepare something to determine who will be sous chefs and who won’t. I was nervous watching who was going to get whom! I would have wanted Carla, Jen Carol, and Angelo (Yes, I said it! Angelo!). Jen is an amazing chef and knows flavors; she is a master technician. Angelo also has a lot of experience and has a great palate. I’d want Carla because she has some good pastry skills. I think that would be a winning team.